As Seen On Craigslist - Vol. 6 - "WANTED: Male Rat"
I have been searching around for a rat to buy for weeks. Who'd've thought it would be such a difficult search? If you have a male rat that you need to give a new home, please let me know. Please, however, no plain white rats with red eyes, or hairless rats. Any other color will be considered. 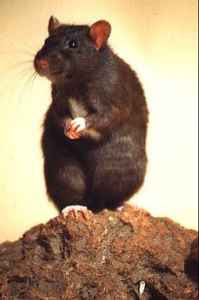 Send me an email with a picture and the age of the ratty. I will pay an adoption fee if necessary, and may possibly buy supplies from you. Eagerly awaiting responses. NO, your rat will NOT be used as food. I can guarantee a safe, healthy, loving home for the rat. 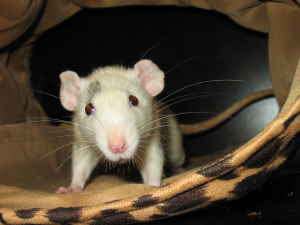 If not responded to soon, I will just go and buy a hooded rat from BTJ Jungle. I'd much rather help somebody out and give their rat a loving home than buy it from a pet store, but if I have to I will. Also, if you know of any pet stores with any rats, let me know. Thankyou in advance. Fine, FINE, you can have my male rat! Please, whatever you do, don't go and buy a hooded rat from BTJ Jungle...whatever that...could mean? I like how he threatens the readers: "IF YOU DON'T LET ME BUY YUOR RAT, I'LL HAVE TO GO BUY IT FROM A STORE." Heavens, no! My sister-in-law was in a pet store on the weekend looking to buy a rat but they were sold out, her husband suggested buying a crab but they couldn't see any so she screamed across the shop to the proprietor, "have you got crabs?" @Marissa: I sense the author was female. Not sure why. @Mark: Brilliant. Also, if you're sold out of rats in Oz, we've got plenty in NY. Just give a shout.